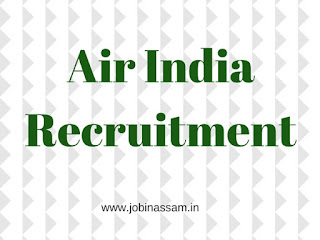 Air India has released a notification for the recruitment of 217 Sr. Trainee Pilots and Trainee Pilots. Interested candidates may check the eligibility criteria and apply from 31-08-2017 to 25-09-2017. Educational Qualification: Candidates should have passed 10+2 from a recognised Board. “General Manager (Personnel), from 31-08-2017 to 25-09-2017. General/UR/OBC Candidates have to pay Rs. 3000 through Demand Draft in favour of “Air India Limited” payable at Delhi. SC/ST candidates don’t have to pay any fee. Selection of candidates will be made on the basis of Written Technical Knowledge Test, Skill Test, and Personal Interview. If you are preparing for air India recruitment then get this book now.